Ariel Perry joined Dermatology Specialists of Florida in 2016. 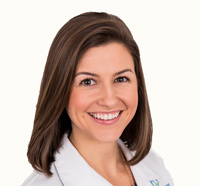 She holds her master’s degree in physician assistant studies from the University of Florida in Gainesville, and a bachelor’s degree from UF in microbiology and cell science. Ariel has been a practicing certified physician assistant since 2014 and has clinical experience in cardiology, electrophysiology and dermatology.